Tactical urbanism, bicycle rebellion, Right to the City. 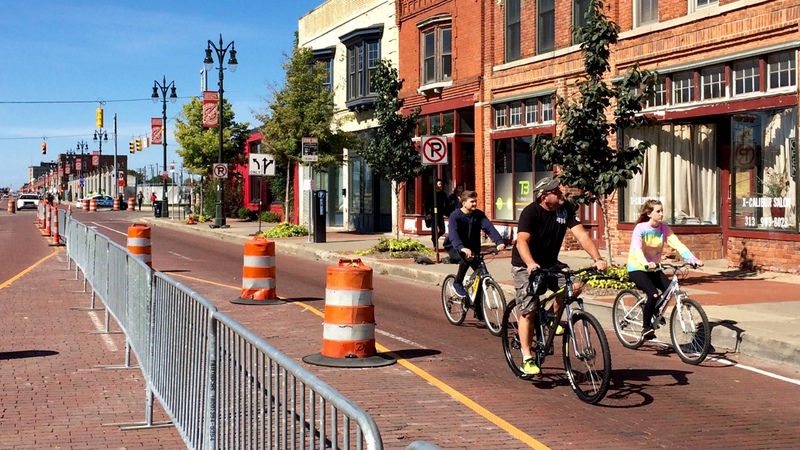 This Sunday saw the much anticipated Detroit debut of the popular city event series known as Open Streets. Taking a page from similar events like Portland’s Sunday Parkways or LA’s CicLAvia, Open Streets has pushed more metropolises return street use from automobiles back to human beings. The idea is hardly radical considering the ways in which urban streets have been used for thousands of years prior to the take-over of cars and trucks. 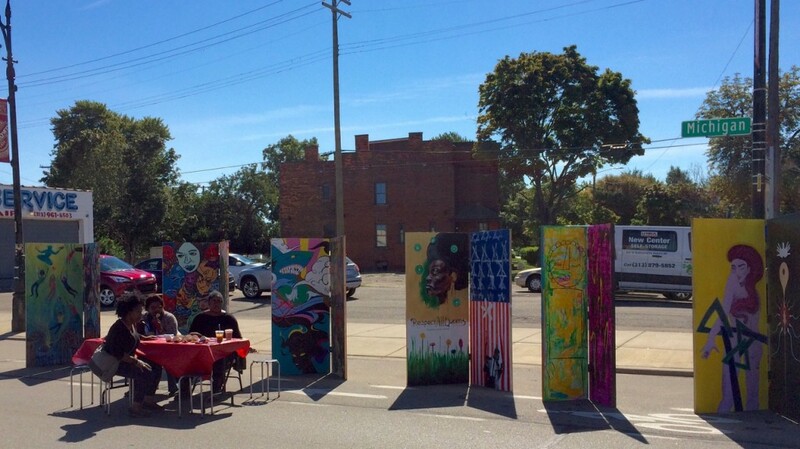 While the focus of Open Streets is on fun and recreation, it’s not hard to see how commerce and political speech also flourish in spaces not monopolized by metal machines. Detroit’s route stitched together two of the city’s most iconic neighborhoods: Corktown and Mexicantown, running in a single strip down Michigan ave with a slight jog onto Vernor. Along the route were your typical event staples like bouncy castles, foursquare, art making, and children exploring their newfound streetscape. Businesses enjoyed a splurge of foot traffic, and utilized the additional space on many blocks by extending their merchandise beyond the confines of the narrow sidewalk. 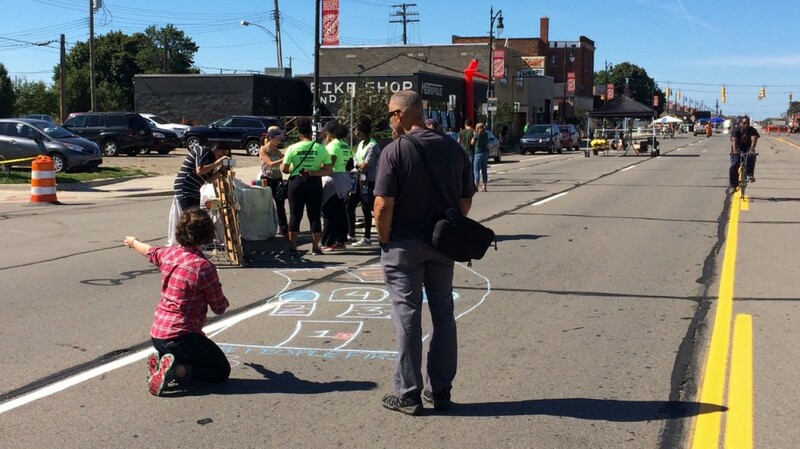 No longer constrained by cars, sidewalk chalk could be seen everywhere, containing everything from kids’ drawings to anti-gentrificaion slogans to quickly washed-off vulgarities. Click any image for full resolution.